"Mum, I hold a seahorse in my hand!" 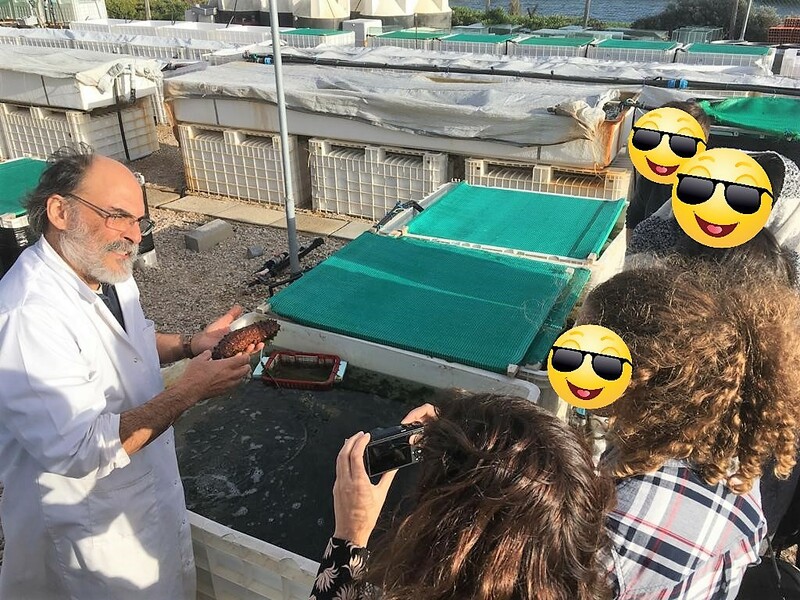 During the CCMAR Scientific Culture Week 2018, we received the visit of two high-school groups with special environmental projects. 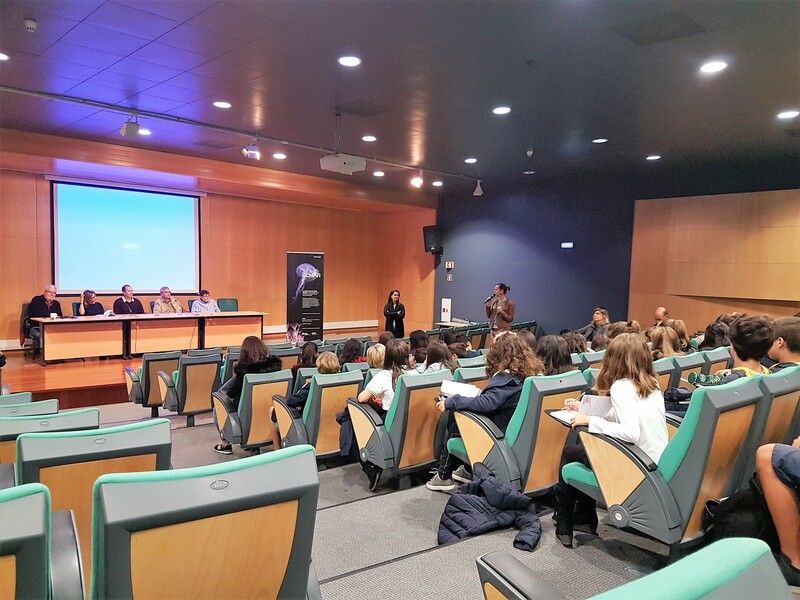 On the19th of November, we received a group of about 60 students from the Colégio Internacional de Vilamoura. 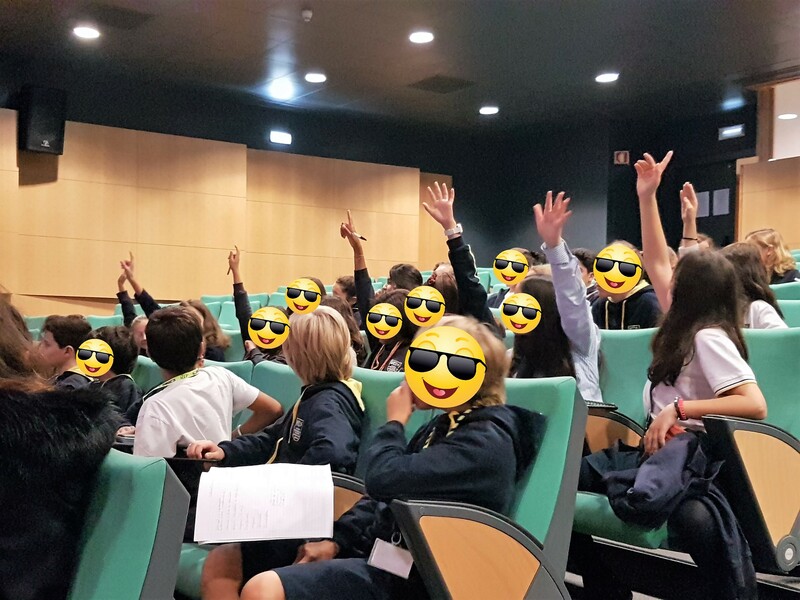 Together with their teachers, these students challenged us for an informal talk about two Climate Change related topics, namely ‘SOS Oceans’ and ‘Reverting Global Warming’. 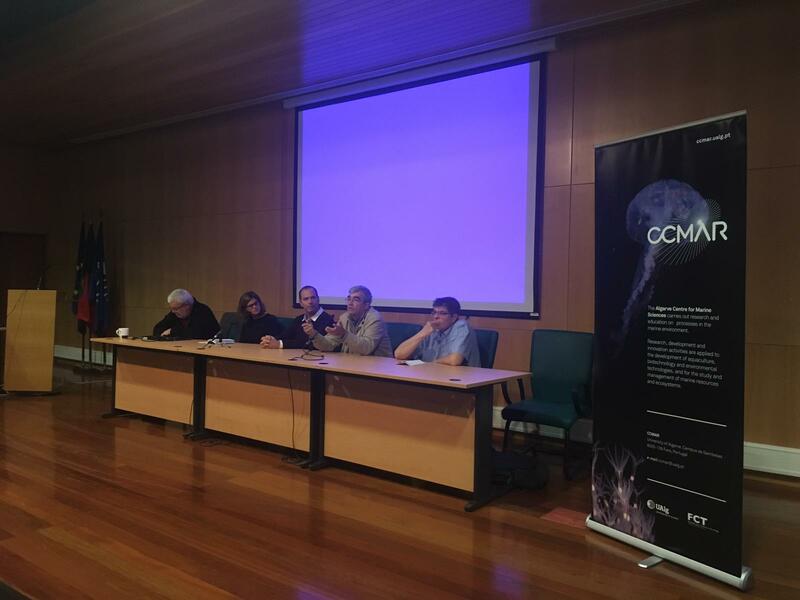 Our researchers Bárbara Horta e Costa, Paulo Relvas, Karim Erzini, João Silva and Juan Fuentes accepted this challenge and provided the scientific background upon which this Young Parliament initiative took place. 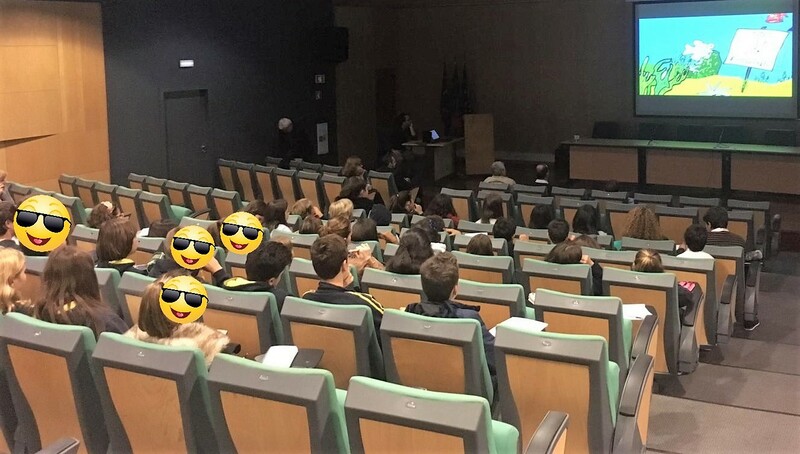 On the 21st of November, the 7th B class of the Escola E.B. 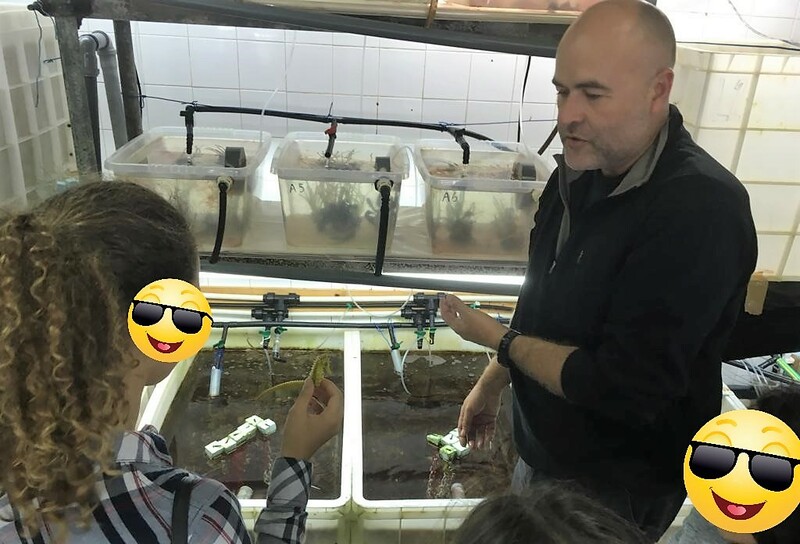 2, 3 João da Rosa in Olhão visited our Ramalhete Marine Station, where Jorge Palma introduced them to his work on seahorses and João Reis showed them several species that are studied in these facilities. At the young age of 12 years old, these 24 students are developing a digital newspaper called ‘Ria Azul’. 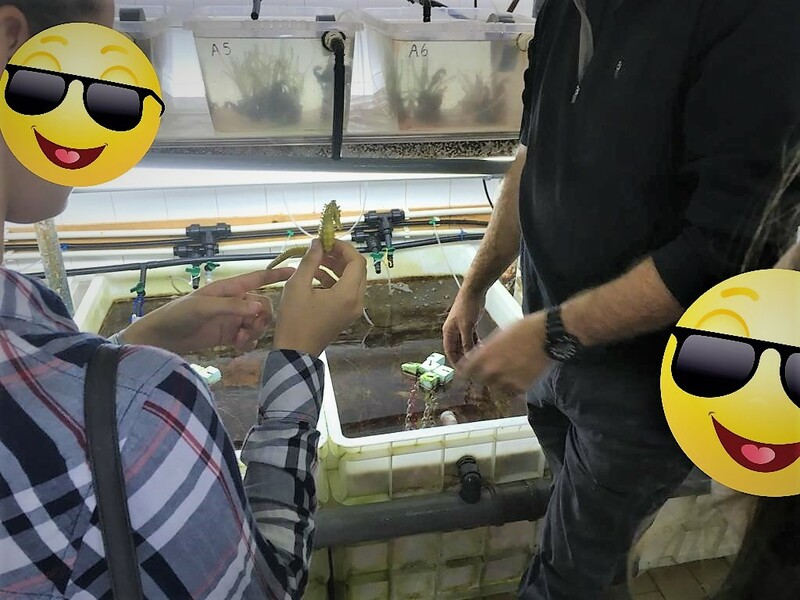 This environmental journal will convey news, stories and interviews about the environment, particularly the conservation of Ria Formosa and its special ecosystem. We can’t wait to see the results of this initiative!